Don't forget the probe wipes ! 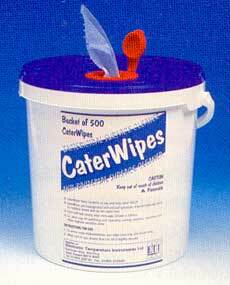 Anti-Bacterial Wipes in tubs of 70, 150, 200 and 500. Wipes available in 70 x 130mm, 130 x 130mm, 200 x 235mm and 220 x 235mm. Wipes also available in sachets in carton of 100. 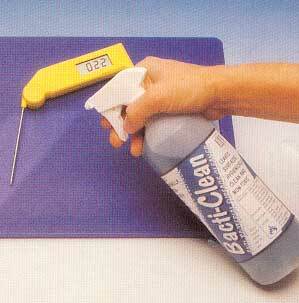 Bacti-Clean anti-bacterial surface cleaner is a taint free, fast acting spray cleaner which has the ability to destroy 99.9% of food spoilage organisms within one minute of application.